Broadly speaking, movie adaptations of video games have fallen below expectations, but it would appear that the coffee-loving electric mouse is about to buck the trend. “A wild JORD appeared! Detective Pikachu uses MIND BLOWN. It’s super effective! The video game curse is broken,” Vogt-Roberts wrote. In Pokémon: Detective Pikachu, the story begins when ace private eye Harry Goodman goes mysteriously missing, prompting his 21-year-old son Tim to find out what happened. 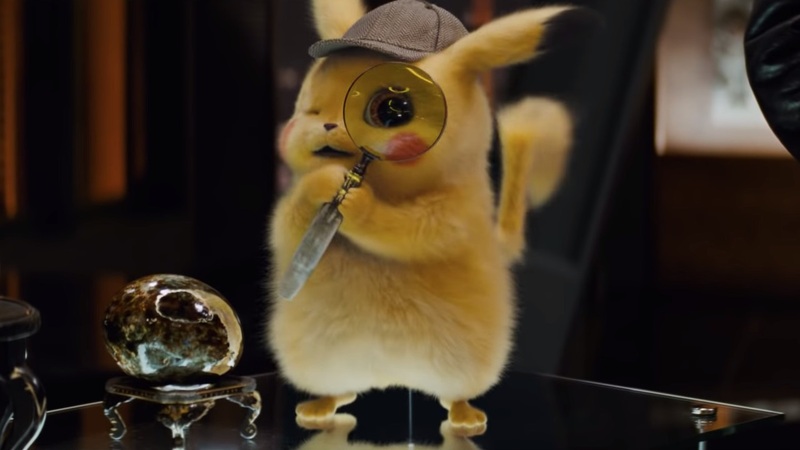 Aiding in the investigation is Harry’s former Pokémon partner, Detective Pikachu – a hilariously wise-cracking, adorable super-sleuth who is a puzzlement even to himself. Chasing clues together through the neon-lit streets of Ryme City – a sprawling, modern metropolis where humans and Pokémon live side by side in a hyper-realistic live-action world – they encounter a diverse cast of Pokémon characters and uncover a shocking plot that could destroy this peaceful co-existence and threaten the whole Pokémon universe. The movie stars Justice Smith as Tim, Ryan Reynolds as the voice of Detective Pikachu, Kathryn Newton as Lucy, a junior reporter following her first big story, and Ken Watanabe as Lt. Yoshida.